Hats off to these outstanding women who all have demonstrated leadership in their respective industries and who also give of their time, their talent and their humanity to Coronado in so many ways..
Read their stories and see if you don’t come away feeling a little more committed to making a difference in your community… or in the world. And if you’re thinking about a career (or career change), you might take inspiration from women who have stayed the course (like Katy Green, R.N. — 46 years at our local hospital!) or are poised to take an entrepreneurial plunge into international waters (like Maelisa Kerseboom with her new line of sportswear, inspired by her daughter’s participation in Coronado Yacht Club’s Juniors Sailing program). Donna Ball is the owner of the largest and most successful property management firm in her hometown of St. Joseph, Mo., “the home of the Pony Express!” she says proudly. 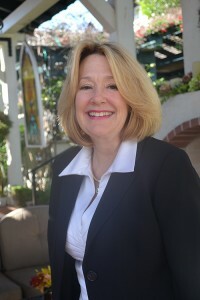 Halfway across the nation, here in Coronado, Donna is perhaps best known for her volunteerism, which includes serving as a strategic planning consultant, longtime director and past chairman of the Coronado Chamber of Commerce; an honorary board member of the Coronado Historical Association, a member of Rotary Club of Coronado and an elder at Graham Memorial Presbyterian Church. Donna established her firm, Donna Farrow & Company in 1991, after 12 years of work for other property management firms in the city, all the while honing her skills and building an impeccable reputation. Her company specializes in commercial properties, and Donna learned to procure properties with strong structural integrity in the most desirable locations which require some cosmetic work. She brings in her team of rehab specialists and elevates the property value, ultimately making her clients more profit from appreciation and maximum rents. Currently properties in her portfolio include shopping centers, strip malls, office buildings, apartments and multi- and single-family homes which maintain a 98% occupancy rate. At the core of her company’s success is a written value system and professional development training of her staff to mirror her personal values, which, at the ­cornerstone, contains that simple yet powerful adage to “treat people the way you want to be treated.” Today, Donna maintains a hands on approach with her portfolio of properties keeping a close handle on the property budgets and financial analysis from Coronado, while her trusted staff work with clients and tenants day to day needs. Donna and husband of 20 years, Bill Ball, moved full time to Coronado in 2003, and have renovated two homes since then. Bill, a retired Marine colonel and graduate of the U.S. Naval Academy, met Donna when he was chairman of Oppenheimer Industries, which turned to Donna’s company for asset management. Donna comes from a long line of strong women which included a close relationship with her “great” grandmother who in her late 90’s enforced the philosophy that there is no limits as to what you can accomplish as a woman! Ora Means managed her 1000 acres of farmland independently. Donna’s Mother now 91 still manages “Means Way” Farms which has been in the family since 1876 located near Fairfax, MO., 60 miles north of St. Joseph. Donna just completed rehab of her grandparents original farmhouse. Donna is the proud mother of Tiffany and grandmother to two “all-boy” boys, Cole,10 and Connor, 3. When Nancy and Spiro Chaconas married 18 years ago on the island of Corfu, it was Nancy’s first trip to Spiro’s homeland, Greece. In the course of a magical week and ceremony, Spiro urged Nancy to try a local dish: gyros. The couple had just moved to Coronado from Los Angeles, where they had met 10 years earlier when Nancy worked for the esteemed orthodontist, Dr. Robert “Rick” Ricketts, a longtime mentor and colleague of Spiro’s (who had just retired as head of UCLA’s School of Orthodontia). Nancy’s exuberance and optimism, evident at an early age, exploded onto the high school scene in New Orleans where she was appointed co-captain of her school’s drill team, which performed weekly at halftime during football games, marched in several Mardi Gras parades and performed at the 1971 Sugar Bowl Game in Tulane Stadium. Her responsibilities included choreographing weekly routines to the music provided by the school’s band. She was also a member of the student council, and several athletic programs, including gymnastics and the swimming/diving team, and was named the school homecoming queen. Nancy attended Lousianna State University, New Orleans, part-time while working as a dental assistant with an orthodontist. Her boss sent her to numerous management seminars and treatment facilitator workshops. It is here where she began to acquire her knowledge of marketing and management that would carry over to the skills she performed for a variety of Coronado non-profits. Nancy served as President of Village School PATT, where she helped to establish the Visual and Performing Arts program and raised funds for new playground equipment. Embracing her husband’s Greek culture, traditions and religion, Nancy became active in San Diego’s St. Spyridon Greek Orthodox Church. 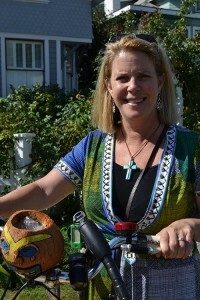 She joined the women’s group, Philoptochos, a ministry of their community that fundraises for the poor and the needy. As a member of their charitable organization, Nancy helped to raise funds for several beneficiaries in San Diego. Nancy has four sons, two from her first marriage, and two with Spiro, Mike and Demetri, who attend Coronado High School. Now Nancy and Spiro are planning a major remodel of Spiro’s Gyros, where Nancy takes pride in the restaurant’s philanthropy to all Coronado nonprofits along with employment opportunities the restaurant has provided to locals over the years. That was just one of the many media projects that Lauren Ash Donoho, public relations director for the Hotel del Coronado over the past 18 years, recently orchestrated. Simultaneously, she worked with the Travel Channel in creating a four-minute segment on the hotel’s “Skating by the Sea” holiday ice rink. And she regularly works with print and online media like the Huffington Post and Phoenix Magazine Online to garner positive coverage of the iconic hotel. Lauren, who grew up in Newport Beach, graduated from UCLA with a degree in communications and art history, with an eye toward being a news reporter or anchor. “If anyone told me a year after graduation that I’d be living in Salt Lake City, I would have said they were crazy,” she said. Lauren is the mother of 15-year-old Chandler, a student and avid La Crosse player at Coronado High School. She is a big supporter, as is the Del, of the Coronado Schools Foundation, while her personal charity of choice, following her sister’s breast cancer diagnosis four years ago, is Susan G. Komen for the Cure. At the hotel, she works with a multitude of local and national charities. Next year, the Del will publish a history book on the hotel’s 125th anniversary, and has designated United through Reading as the beneficiary. And Make-A-Wish Foundation is Skating by the Sea’s beneficiary for the eighth year in a row. “It just feels so right,” says Lauren. The travel bug first bit Pat Flynn when, as a student at the University of California, Berkeley, she spent her junior year abroad in Vienna, Austria. She decided to stay an extra year and travel the continent. “I loved Europe then and still do today,” says Pat. Now in her fourth decade as a travel agent, Pat specializes in cruises and tours. She regularly sends groups on memorable excursions, like a recent summer cruise for 24 Coronadans on Oceania’s new Riveria that began in Athens and ended in Barcelona. 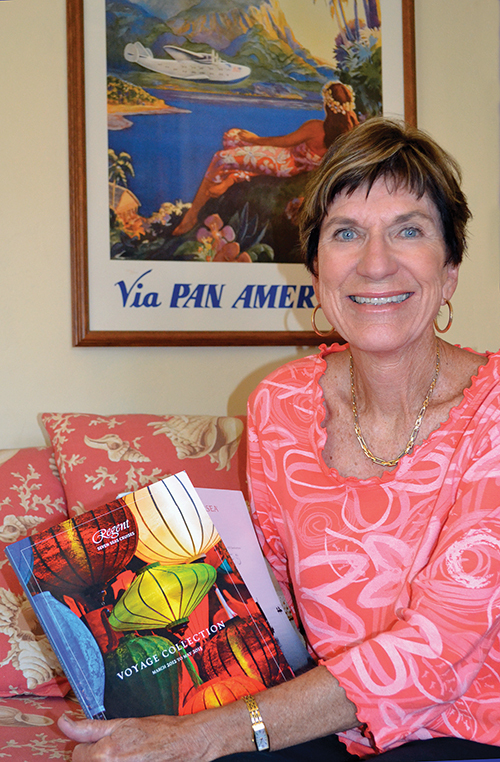 A 1959 graduate of Coronado High School, Pat returned home to Coronado after 25 years in the San Francisco area where she worked for a travel agency. She began working with Jeanne Bowers and later Ann Eades at their Coronado travel agencies. And 27 years after graduating from CHS, Pat reunited with her high school and college sweetheart, Vince Flynn, now retired from the private practice of urology and working part time for Kaiser Permanente. The Flynns, married 26 years, have a blended family of five adult children and five grandchildren. Vince and Pat enjoy traveling the world together and taking flights in their Cessna 182 which Vince pilots. Both are certified scuba divers and share a deep interest in historic preservation in Coronado. This year, the Flynn’s Adella Avenue home, built in 1933, was featured on the Coronado Historical Association’s Home Tour and was earlier featured on a SOHO home tour. Pat serves as board secretary at CHA; she is also a member of Coronado Soroptimist. Now affiliated with Kahala Travel in San Diego, Pat is always ready to be of service to Coronadans who are ready to see the world, or a little corner of it. Dawn Duryea knew in the sixth grade exactly what her life’s vocation would be: she would teach dance and own a studio. And it would be in her hometown of Coronado. By age 25, she made it all happen. But after a year off, Dawn was itching for another opportunity to twirl and tap, her self-confidence blossomed, and she hasn’t looked back. By the time she was in high school, she was teaching at House of Dance and ­dancing with the California Ballet. At age 19, she was named Miss Coronado, serving as the city’s ambassador at area events. A highlight of her year as Miss Coronado was riding on the city fire truck with Santa Claus, “which really impressed my young students. They thought I had an ‘in’ with Santa,” she recalls. After taking classes at City and Mesa colleges and through the Ballet Society, Dawn created a detailed business plan. In 1998, she secured a studio space in the 900 block of Orange Avenue (behind Coronado Taste of Oils and Studio 1220). “I wasn’t scared at all; I knew I would succeed.” Her confidence, she says, was due in no small part to her chosen profession. “Miss Dawn” and four other instructors teach six days a week with students ranging from age 2 through adults. Dawn particularly enjoys choreographing dance routines — “everything from classical to modern” — and gets a kick out of teaching the daughters of her former CHS classmates. Now that her own children, Sarah, 7, and Tyler, 6, are full-time students at Village School, Dawn is able to teach more classes herself. Coronado Academy of Dance supports a wide spectrum of Coronado nonprofits through donations and often participates in holiday parades. Dawn has MC’d and judged many dance competitions, and her academy’s annual spring recital, held at the CoSA theater at Coronado High School, is one of the most anticipated events for her students, past and present, and their families. Katy Green remembers the day in 1967 when she walked through the door of the old Coronado Hospital and asked if there were any nursing positions open. A relatively new nurse and bride whose husband had just been transferred to Coronado for UDT training, Katy was politely told there were no openings. But the next day, head nurse Jane Granzer called Katy and asked if she could start the ­following day, which she did. And she’s stayed for 46 years. Years ago, Katy introduced, along with Dr. Mel Ochs, the popular “Teddy Bear Clinic” to the hospital; children bring in their sick and/or injured teddy bears and stuffed animals and the doctors and nurses fix ‘em right up. Katy and George Green are fixtures in Coronado; George continues to coach track and field; daughter Kirstin is an accomplished mosaic artist, not surprising considering her mom’s interest in stained glass and quilting. The Greens’ home is always a Halloween destination for island kids. And if it’s a Sunday night Concert at Spreckels Park, you’ll find Katy and George sitting front and center. Renee Hinton has been a fixture at Coronado First Bank, beginning work with the bank shortly before it opened its doors seven years ago on Oct. 5, 2005. As director of sales and marketing, Renee supervises the advertising, marketing and public relations for the bank’s Coronado and Downtown San Diego offices. She supervises the bank’s website and also organizes the bank’s annual Citizen of the Year awards program, which this year honored Coronado arts activist, Doug St. Denis. Renee was born in Corpus Christi, Texas, the daughter of a Navy pilot, making her right at home in Coronado’s Navy community. Her family later moved to Glendale, Calif.
Renee came to San Diego as a student at San Diego State University, where she earned a bachelor of arts degree in public administration with an emphasis on business. She began working in the banking industry during her high school years, first as a teller with Glendale Federal, then moving to Great American and Cuyamaca Bank, since acquired by another institution. Renee is an active member of the Coronado Chamber of Commerce, where she and her husband of 20 years, Randy Hinton, and members of the bank’s staff attended this year’s stirring Salute to the Military Ball, which honored the Navy SEALs. Coronado First Bank is a partner of the Coronado Hospital Foundation, a business partner with the Coronado Schools Foundation, for which it received the foundation’s prestigious “Merchant’s Award” in 2009. The bank has also been a major backer of the Wampler Foundation. Coronado First Bank extends free business checking to all Coronado nonprofit 501 c (3) foundations. She also suggests that people check the beneficiaries on all banking accounts to avoid probate. “And for business accounts, make sure you have a line of successorship in case something should happen to you,” she advises. You’ve probably seen Maelisa Reed’s work, but you wouldn’t notice it directly. And that’s just the way Maelisa likes it: she is the owner of Maelight, a commercial lighting firm, and she wants you to notice the focus of her work in all its facets, not the source of illumination. In Coronado, her work can be seen in the evening on the exteriors of Glorietta Bay Inn’s Mansion. In addition to exterior and interior lighting for restaurants, hotels and retail establishments, her company handles special event lighting and display and holiday décor, including selected private residences. Maelisa’s expertise in lighting design was honed through six years of study through the IESNA – Illuminating Engineers Society of North America. Her passion for design has also taken on a new dimension: the clothing industry, specifically, high velocity active wear for water sports, a niche she discovered when her daughter, Grace Reed, began sailing with the Coronado Juniors Yacht Club. Noting the exploding market potential for active wear, not only for sailing enthusiasts, but also kite boarders, surfers, windsurfers and paddle boarders, Maelisa enlisted her brother, Rob Meadows, and his international fashion house for manufacturing and distribution expertise. She turned to renowned Tahitian tattoo artist Manu Farrarons to create traditional custom designs that are now featured on side panels of Moana Sportswear’s fashionable line of rash guards, spray jackets, board shorts, after-race T-shirts and fleece warming jackets. 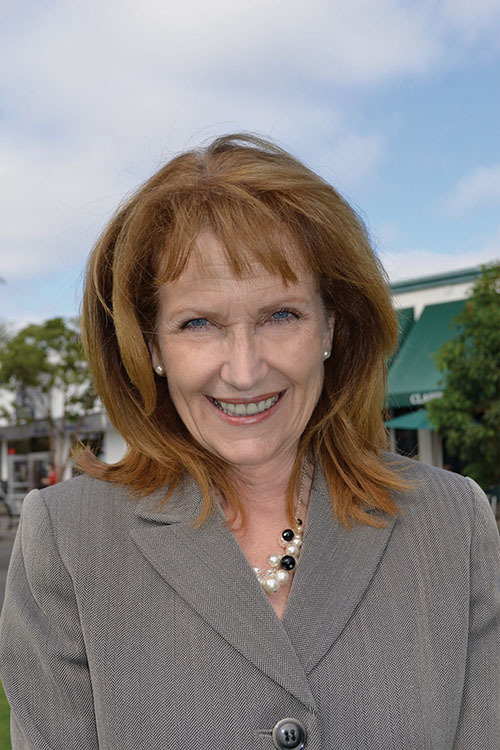 Roberta Korte was born and raised in San Diego’s East County and a member of Valhalla High School’s first graduating class in 1976. Yet, while she and husband, Martin Schwartz, and their children enjoyed the wide-open spaces, they had been through one too many fires and evacuations. “We never knew if we’d have a home to go back to,” Roberta remembers. And so the family headed to Coronado — the safest community in the county, and the least likely to ever go up in smoke. “And, of course, we all loved, loved, loved Coronado,” she says. After raising three children (stepdaughter Samantha now lives in Bethlehem, Penn. ; Jake, a graduate of CHS is now at University of Texas and Emma is a senior at CHS), Roberta, a former school teacher and computer software designer who holds two master’s degrees, was searching for a new business opportunity. She found it while visiting Samantha, and participating in a citywide Art Walk that paired businesses with artists. Roberta is an accomplished artist, whose oil paintings were displayed at a store named “Seasons” on Bethlehem’s Main Street. By December 2010, Roberta opened “Coronado Taste of Oils” which sells oils, vinegars, pastas, sauces, spices and accessories. “Visitors love the product as a souvenir of their time here, and locals love them for their own use or corporate gift giving,” she says. Roberta is now passionate about promoting and educating the public on the health and nutritional benefits of olive oils. The store, which also displays Roberta’s art and the works of other artists, is now a popular party venue; the staff will work with customers in designing everything from informal party tastings to three-course sit-down dinners. 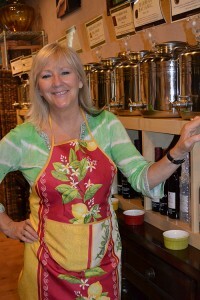 When Roberta noticed a trend of her customers, who had happily purchased the oils and vinegars, calling the store with questions on how to incorporate them into recipes, she decided to publish a cookbook to point the way: Taste of Oils cookbook has now sold more than 1,000 copies. A few weeks ago, CNN’s Piers Morgan quietly interviewed Governor John Huntsman in the Inn’s historic music room. But Claudia derives the greatest enjoyment from chatting with non-celebrity guests, who travel from near and far. Claudia’s natural conviviality may be one of the reasons that she was named 2012’s Outstanding General Manager (Small Property) by the California Hotel & Lodging Association. The inn also received the association’s award for Best Guest Relations of the year (for properties of 100 rooms or less.) “I am so grateful for the opportunities that my owners and our vice president have given me over these last years,” Claudia says. 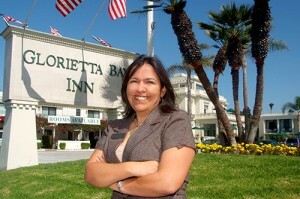 Glorietta Bay Inn is the third historic hotel where Claudia has worked. 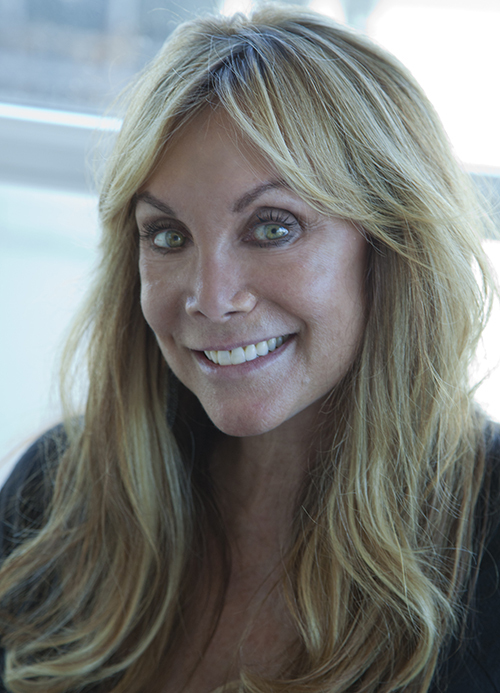 After graduating from Coronado High School in 1991, she began her career at the Hotel del Coronado as a bell desk receptionist, then an audio visual assistant. Next stop was San Diego’s U.S. Grant, a Grand Heritage property where she was a sales manager from 1995 to 2000. She then helped Grand Heritage re-open Pala Mesa Resort in 2001. Not surprisingly, the commute to Fallbrook wore thin, and Claudia soon chose to come home to Coronado, joining the staff at Glorietta Bay Inn, working her way up the management ladder. In 2009, she became assistant general manager and, in 2010, general manager. Claudia’s grandfather, James Fountain Ludlow, arrived in Coronado from Washington, D.C., in 1919, and became one of the city’s first African-American property owners. Her mother’s ancestry is Spanish and Mexican. Claudia is the mother of three, ranging in age from four to 17. She has been a member of Optimist Club of Coronado where she supervised the annual high school oratorical contest. 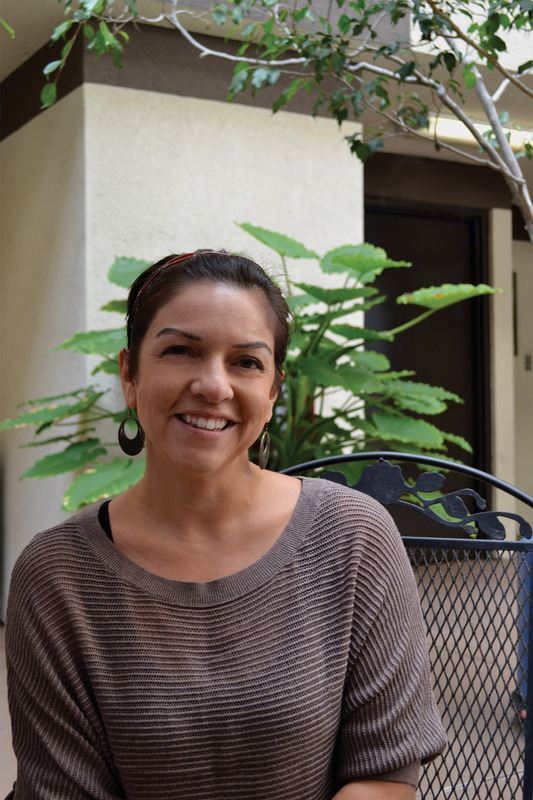 She works with a number of Coronado-based nonprofits. Claudia oversees the inn’s guest relations, sales and marketing and property upkeep. She recently supervised an upgrade of the hotel’s website and a major room renovation. “There is no better job on the planet than putting people together with their homes,” attests Carol McGraw, who has been doing just that in two “navy towns” — Annapolis and Coronado — since 1996. Carol grew up in Charlottesville, Va., and earned a degree in history from Virginia Commonwealth University in Richmond. Her first sales career was with American Greetings, where she worked her way up the corporate ladder, eventually handling large national accounts for the greeting card company. In 1982, she married Tug McGraw (USNA ’77) and Carol was off to the Whidbey Island, then Colorado Springs, where Tug taught at the Air Force Academy, followed by Monterey, Calif. By now the couple had three children. While Tug was based on the USS Ranger, the family lived in Coronado from 1990 to 1992, and Carol immediately knew that she’d like to someday set down roots in the friendly community. “Our landlords would always stop by to see if we needed anything, and our friends across the street are friends to this day,” she says. But a permanent move would have to wait: Tug became a professor at the Naval Academy in Annapolis, which is where Carol began taking classes in interior design and architecture. Eschewing the idea of a formal degree, she instead parlayed her design expertise and previous sales experience into a career in real estate, beginning in no small way with Coldwell Banker’s Annapolis office, the third largest real estate office in the entire DC area. When Tug retired from the Navy and was offered a position with SAIC in San Diego in 2006, the McGraws made a beeline to Coronado, and Carol continued her career in real estate, joining Willis Allen Real Estate in 2009. This year, Carol is serving as president of the Coronado Real Estate Association (CREA), a committee of the San Diego Real Estate Association, and is thrilled with the results of CREA’s first Pet Parade and Chili Cook-off, a community fund­raiser chaired by fellow agent Caroline Haines. Margaret graduated from Coronado High School in 1981, where she still remembers a phenomenal history professor who inspired her to minor in Soviet history at Whittier College. But her major was biology, because she knew a career in dentistry laid ahead. “Taylor Stockdale said I was the only ­person he ever met who knew at age 4 what they wanted to be when they grew up,” Margaret shares. Dr. James Cahill, whom she refers to as “one of my three fathers,” the others including God, the father, and her late father, Tom Meadows. “My father was a humble, unassuming man who worked as a naval aviator for 26 years and then added on a 36-year career as s stockbroker,” she says. Her mother, Evie, was always interested in sciences, and before starting her family, taught college biology. 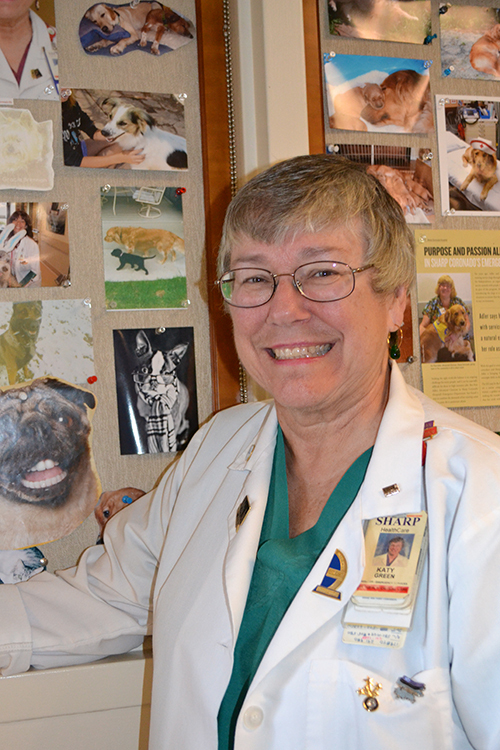 “I love my patients first, sing to them second, and then we get into dentistry,” Margaret explains. Margaret is married to RADM (select) David Pimpo, now stationed in Ohio, and she frequently finds herself traveling cross-country to spend time with him. “I figure we’ve lived together only five years in our 12 years of marriage,” she groans. Mary Anne Morelli Haskell, D.O. 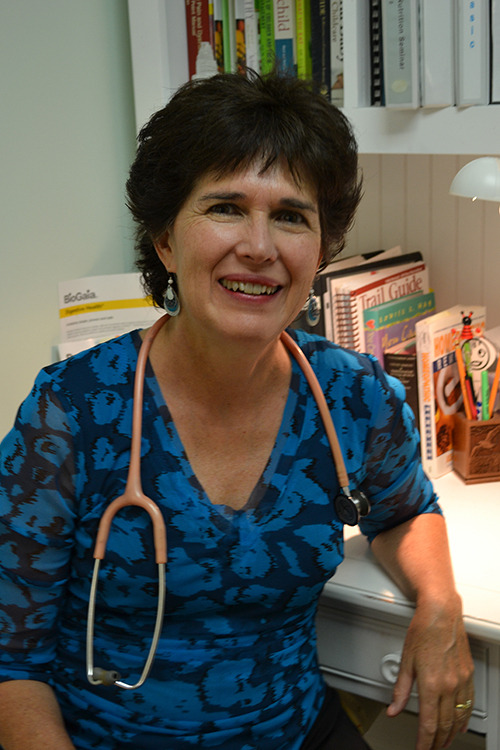 Today, as an osteopathic physician, Mary Anne effectively combines all three roles, helping her young patients and their parents learn how to take the best possible care of their bodies. 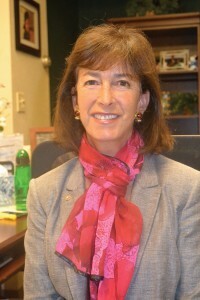 Mary Anne obtained her bachelors degree in biology at California State University, Northridge, then graduated in 1988 from the College of Osteopathic Medicine of the Pacific (now Western University) in Pomona. After a general medicine internship, Mary Anne knew she wanted to focus her practice on pediatrics, so she completed a three-year pediatric residency at Loma Linda University Medical Center. She does just that, through an integrative practice that includes gentle osteopathic manipulation, nutritional counseling based on a whole foods diet, and natural medicines. 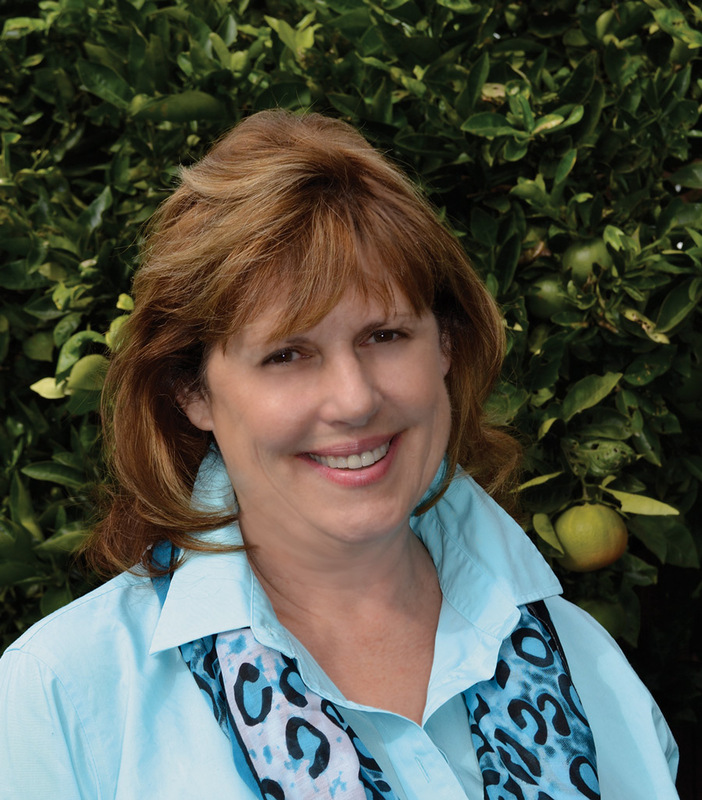 Mary Anne is passionate about helping children and families find ways to optimize their health naturally. She encourages her patients to pay attention to their food supply. “It has become severely devitalized through processing in addition to pesticides, food dyes, hormones and chemicals,” she cautions. “And genetic modifications are really scary.” She attributes the degraded food supply as one reason that so many children—and adults — are having increased health problems such as gluten intolerance. “Wheat today is not the wheat of yesteryear,” she advises. She also believes that the alarmingly increasing rates of autism are in part linked to environmental toxins. Babies and newborns are among her favorite patients. “They love gentle osteopathic treatment and you can often see them visibly relax as tensions are released.” Osteopathic treatment of newborns is a great step in preventing many childhood issues, she notes, and is particularly helpful for newborns who experienced difficult births, which can manifest in colic, difficulty breast feeding, spitting up and irritability. After initially practicing in La Jolla, Mary Anne married attorney Lee Haskell in a ceremony at Spreckels Park, and the couple moved to Coronado. They are parents to Michael, 10, and share a bright and airy office at Tenth and B. Mary Anne is a member of Rotary Club of Coronado and FOCUS (Friends of Children United Society). When Jennifer Ramos was a student at San Diego State University, she was contemplating a career in the medical field, possibly nursing. That led her to join Scripps Hospital in La Jolla, where she worked in an administrative capacity at the hospital’s fast-paced trauma center. 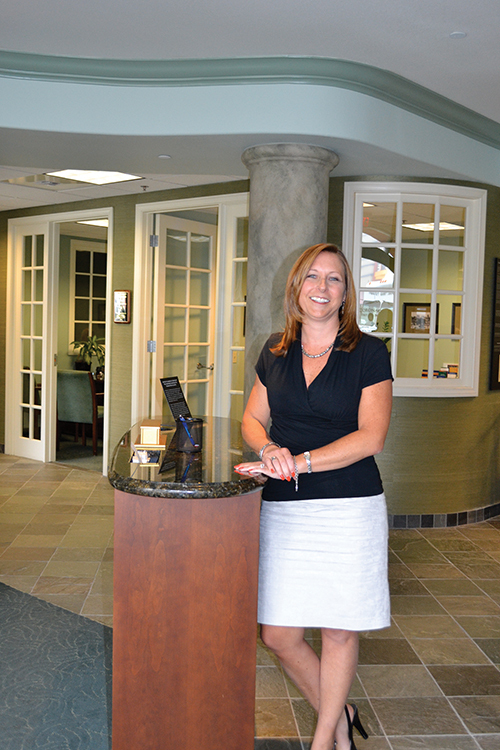 In 2004, she purchased the business and moved the offices to Coronado. Jennifer has found that nine out of 10 seniors want to stay in their homes as they grow older. “They have many reasons to stay in their homes and we help make that happen,” says Jennifer. 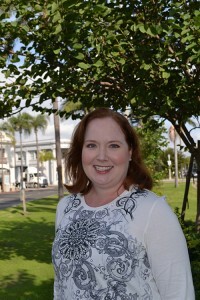 Jennifer is an active member of the Coronado Chamber of Commerce. For local residents, Comfort Keepers has started a new complimentary in-home safety check service, that includes checks to make sure that smoke alarms and fire extinguishers are in good working order and there are no tripping hazards in the home. “Sometimes, concerned neighbors will refer us,” Jennifer says. Jennifer looks forward to growing old with “the best man in the world,” her husband, Raul, who was her high school sweetheart. “We’ve known each other since we were 12 years old!” The couple have three daughters, ages 15, 5 and 4. 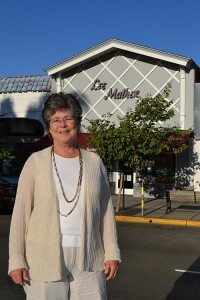 Debbie Riddle grew up in Coronado (CHS ’71) and in the real estate business, working summers and occasional weekends at the company established in 1953 by her father, Lee Mather. Today, 21 years after returning to dry land, Debbie finds she absolute loves working with homebuyers and sellers through her “Team Riddle” sales team with partner Jim Nelson and Tom. 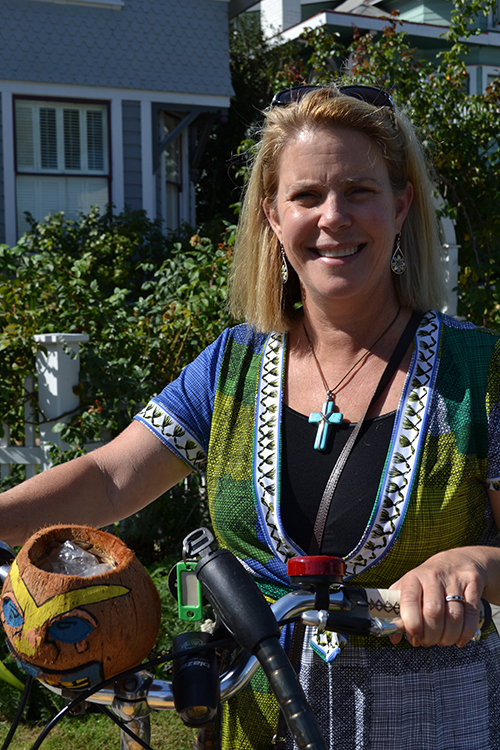 “I love solving problems and finding ways to help people achieve their dreams,” says Debbie. She also manages Lee Mather Company’s sales and property management divisions, and loves mentoring young associates; she’s a certified mentor through Buffini and Co.
Over the past two decades, she’s actively supported her industry and community. Debbie served as president of the (former) Coronado Association of Realtors in 2000 and 2008. 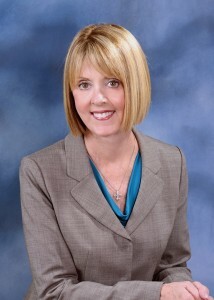 She was also named Realtor of the Year in 2008. 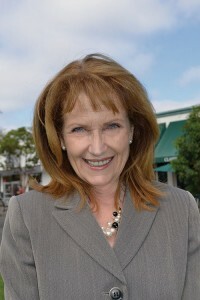 She is a past director of the Coronado Hospital Foundation, past president of the Coronets (the women’s auxiliary of the Coronado Playhouse) and a past president of the (former) Coronado Chapter of International Training in Communications, where in 2000 she was a finalist in ITC’s international speech contest in Toronto. Debbie also handles the Lee Mather family’s real estate holdings and is co-trustee for her parents’ trust and all financial matters pertaining therein. And after 29 years of marriage, Debbie says she is still “madly in love” with Tom Riddle and has six beautiful grandchildren, compliments of Tom’s three children. Longtime members of Coronado Yacht Club, Debbie and Tom still own and sail their 38-foot sailboat. 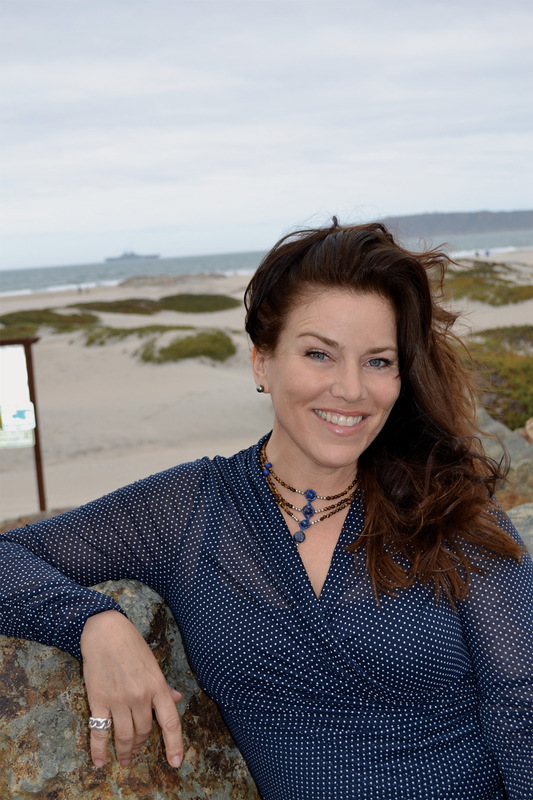 When Sharon Lynn Sherman is asked what she likes best about Coronado, she laughs out loud and confesses: “I like everything about it that I detested as a kid. “It’s small. Everybody knows everybody else. And you can’t get away with anything without people knowing. After graduating from CHS in 1969, Sharon headed to UC Santa Barbara where she majored in Sociology and minored in Drama, working in costume design and construction. By graduation she was at a crossroads: acceptance letters came the same day from the American Conservatory Theater and USD School of Law. She chose the latter, obtaining her juris doctorate in 1977. After working as an associate at two San Diego law firms until 1982, Sharon was ready to hang out her own shingle in Coronado “and for the first six months I was petrified that I wouldn’t have any clients,” she confides. But many of her old clients found her, and soon local Coronadans did the same, making their way to her one-room office above the old Anderson’s Bakery. 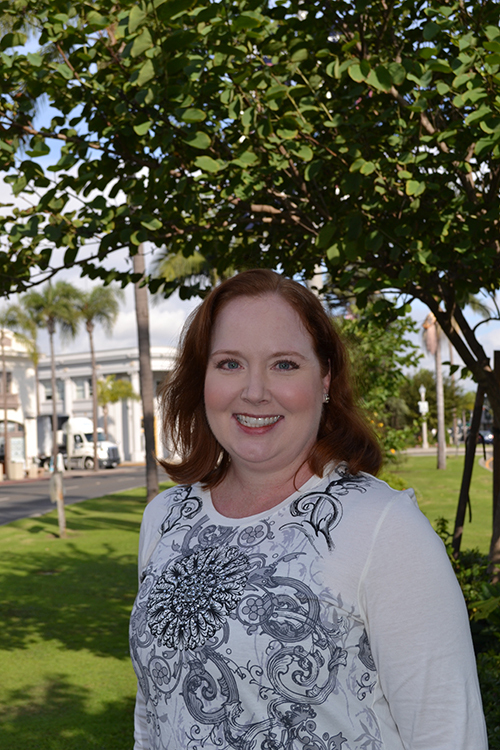 Sharon, who believes “a good life is measured by what you give,” has been on the forefront of many Coronado nonprofits. In 1983 she joined Coronado Historical Association’s board and served as president in 1992, the year the association opened its first museum on Loma Avenue. 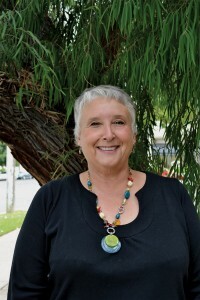 She sits on the board and is a past president of Friends of the Library, which raises money for the Coronado Public Library through its annual Book Faire and year-round through Second Hand Prose, the used book store located on the D Avenue side of the library that opened in 2006. In 2003, she helped PAWs of Coronado incorporate, by assisting with its bylaws and nonprofit status, and this year joined its board. Originally from the East Coast, Deborah Gilmour grew up singing, influenced in large part by her father, a member of the famed Robert Shaw Chorale. She studied music and theater at San Francisco State University. Deborah remembers that she respected Robert Smyth that first year. Friendship grew into love; the couple married in 1984 and today make their home in Coronado. 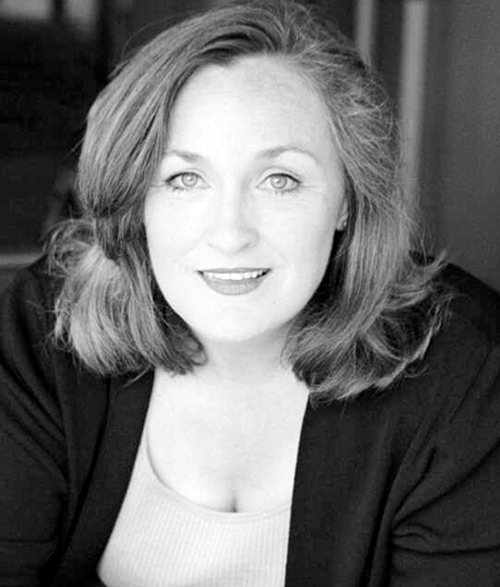 Deborah Gilmour Smyth is one of San Diego’s most active performers with more than 145 productions to her credit. She is a three-time recipient of the San Diego Theatre Critics Circle’s Craig Noel Award for Outstanding Female Performance. In addition Deborah has directed 40 main stage and 20 touring productions and composed music and orchestrated several more. Her latest passion is sound design, most recently handling that function for Around the World in 80 Days. Because Lamb’s Players view themselves as “artisans in our community,” Deborah says that troupe members have performed pro bono at many community events over the years. Deborah also works with Actors Alliance, coaching young kids on auditions. And noting that “the best vacations are those where you get to know the people,” Deborah says she and Robert have enjoyed participating in several Global Village Tour Builds, including two in Africa, for Habitat for Humanity. Deborah also takes pleasure in participating in World Vision’s “Sponsor A Child” program. “I’ve had 12 children assigned to me in 33 years,” she beams. Bless Young’s passion for helping people invest their money grew out of her previous career as a trial lawyer, where she often found herself counseling clients on ways to invest their large settlements. Born and raised in Newark, N.J., Bless received a bachelor of arts degree in public speaking and political science from Marietta College in Marietta, Ohio and a juris doctorate from Temple University in Philadelphia. She worked as a trial lawyer in Philadelphia and on Wall Street, then San Francisco and Los Angeles. She also served as Utah’s assistant attorney general for five years, including the period surrounding the 2002 Olympics in Salt Lake City. Thirty years ago, Bless and her husband, Greg, were married at the Hotel del Coronado, and periodically returned to the island to celebrate their anniversary. Each time, they’d look at property, knowing they’d eventually settle in the idyllic community, which they did in 2010. Bless became a registered investment advisor and joined Edward Jones as a financial advisor. She now bikes to work at her Orange Avenue office. She’s also active on Coronado’s tennis circuit, playing on the USTA League for Coronado and the Coronado B League. Bless is a member of Rotary Club of Coronado and a past president of La Canada Rotary Club. Bless, also an avid runner, is now setting her sights on a half marathon for next year. The couple’s son, Omar, lives just up the road, in Newport Beach. But 15 years ago, Omar’s future was in jeopardy when at age 11, he was diagnosed with a brain tumor, underwent intense therapy and suffered three reoccurrences. With a life-threatening condition, Omar was able to have a golf lesson with his hero, Tiger Woods, made possible through the Make-a-Wish Foundation. Two years ago, Sally Ann Zoll traveled to Southwest Asia, where she visited United Through Reading sites on military bases. She stopped at Ramstein Air Base in Germany on the way home and stood in the snow on the tar- mac and greeted newly wounded warriors as they were unloaded from a C17 that had just arrived from Afghanistan. “I watched with great reverence as medical personnel were so respectful and caring of these soldiers in such a frightening situation,” she shares. As the multifaceted leader of United Through Reading, Sally Ann serves as the chief guardian and spokesperson for the company’s vision and mission, builds and sustains relationships with stakeholders and partners, and leads United Through Reading’s programs, finances and internal team. United Through Reading provides the opportunity for deployed military moms and dads to be video recorded reading a storybook; the recordings are then sent home to their children. “Keeping those families connected reduces stress in the child, allows the deployed service member to parent from halfway around the world, and makes the homecoming less tenuous,” she observes. Now in its 23rd year, United Through Reading has served 1.5 million partici- pants, with 300,000 current beneficiaries. Sally Ann holds a doctorate in educational leadership and management and a master’s degree in special education, both from University of San Diego, and a bachelor’s in elementary education and special education from Purdue University. From her first position as an elementary school teacher to her present leadership role, Sally Ann has integrated her knowledge of education and educational technology with her talents for building and leading organizations of all sizes in the public, private and nonprofit sectors. In Coronado, Sally Ann is serving her sixth year on the Coronado Library Board of Trustees. She is married to educator, Jim Zoll; the couple’s two oldest children, now adults, are graduates of Coronado High School.